Though many folks argue that it’s not healthy to sleep on your stomach, approximately 16% percent of the general population prefers to doze in the prone position. For these sleepers, there’s nothing cozier than laying face down in a pillow with their stomach pressed gently against a mattress. However, not every bed is well-equipped to support this specific preference, and many could actually cause stomach sleepers a whole lot of pain because of it. That’s why I decided to compile my favorite mattresses for stomach sleepers in one space. These beds are supportive yet gentle, firm yet built with enough pressure relief to keep the spine in tip-top shape. I want to note that the information below is comprised of my personal opinions, reflecting my specific preferences and biases, so it’s really just a starting point. Want to see the full list of recommendations for stomach sleepers? Click here to jump down to the summary. What is the Best Mattress for Stomach Sleepers? The best mattress for stomach sleepers is one that’s firm enough to keep the hips in alignment with the shoulders, yet giving enough to provide plenty of support at the lumbar region. A combination of sturdy coils and gentle foams make the WinkBeds a truly supportive innerspring. With a firm model available, the WinkBeds is a good option to align the spine and raise the hips for stomach sleepers while maintaining comfort and support. The Saatva mattress combines a luxurious pillow-top layer with two sections of coils for that classic innerspring feel. We recommend the firm model for strict stomach sleepers. This tall hybrid mattress combines foams with pocketed coils for a luxuriously supportive sleeping experience. A wonderful mattress that feels firm yet conforming, the DreamCloud is a great hybrid option for all sleeping positions, including stomach sleepers. The Purple 2 combines the amazing pressure relieving gel in the comfort layer with springs, providing pressure relief and great support. Compared to the Purple 3 and Purple 4, the Purple 2 is the firmest, making it ideal for stomach sleeping. Composed of all-natural latex and pocketed coils, the Avocado is as eco-friendly as it is comfortable. The latex will conform, but offer tremendous support, making a stomach sleeping position feel comfortable all night long. 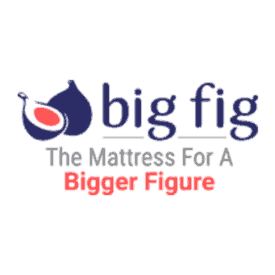 Designed specifically for heavier sleepers, the Big Fig is a fantastic, supportive option. This heavy duty mattress has the construction components to keep the hips aligned for heavier sleepers. 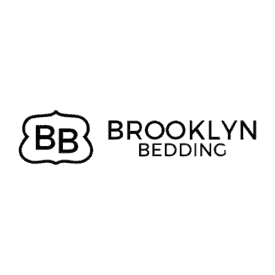 The Brooklyn Bedding Aurora comes in a firm option, and is actually cool to the touch. This luxury hybrid provides the support that stomach sleepers need while cooling you down so that you don't wake up with your face in a pool of sweat! Loom & Leaf is made with the highest quality foams to provide a high end sleeping experience. The firm model provides great support with conforming memory foam, making it a great match for stomach sleepers. 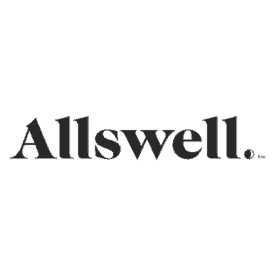 The Allswell is a quality mattress coming in at a shockingly low price - a great option for sleepers in all positions, including stomach sleepers. What Makes These the Top Mattress Picks For Stomach Sleepers? 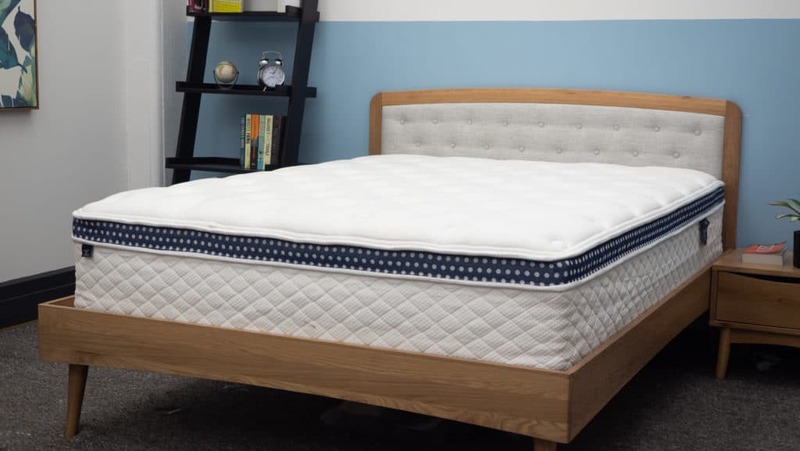 As I mentioned up top, each of these choices is based on my personal preferences, but I’ve done my best to include a wide range of mattresses for different kinds of stomach sleepers, from those with lower back pain to those on a budget. In our exploration of all these selections, I’ll walk you through why I chose them for this list and share my expert tips for getting absolutely amazing sleep on your stomach. At the end, I’ll also provide some insight into the science behind stomach sleeping and why it’s such a controversial sleeping position. But for now, let’s get onto my picks! 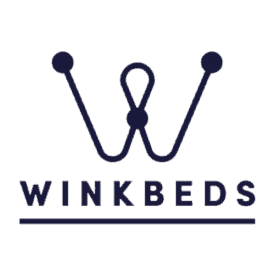 The WinkBeds is a hybrid mattress specifically built to be buoyant and ultra-supportive. Here, a tufted cover gives way to a thin layer of microcoils that help keep the sleeper lifted on top of the structure from the very first moment they lay on the bed. Working down from the microcoils, you’ll find more foam and an even taller section of pocketed coils, all of which work in concert to bring some satisfying relief to the lumbar region. This is especially beneficial for stomach sleepers, as they often experience discomfort along the spine as their hips sink out of alignment with their shoulders. 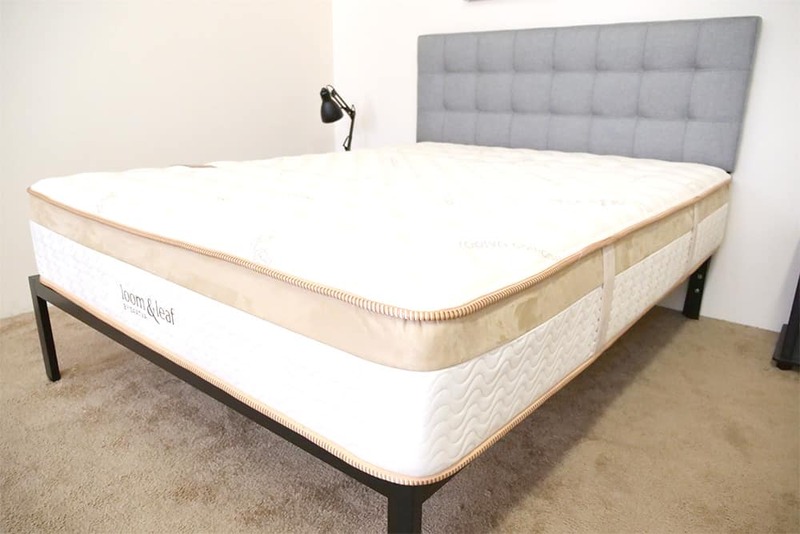 For more on the WinkBeds mattress, scope out my full review. The Saatva evokes the feel of a classic innerspring with its coil-on-coil construction. This means it’s super bouncy, supportive, and firm, scoring about a 7.5/10 on the firmness scale. While a lot of sleepers would balk at such a high rating, stomach sleepers could find a lot to love in this taut vibe. I especially like this bed for stomach sleepers because it does a fantastic job of keeping the spine in a healthy alignment, thereby alleviating pesky tension at the hips, shoulders, and lumbar region. Plus, the springy coils help to keep the sleeper positioned squarely on top of the mattress. For more, check out my full Saatva review. For those who want a firm mattress with a tad more give than an innerspring, you may want to consider my favorite hybrid for stomach sleepers: the DreamCloud mattress. Layers of gentle foam sit atop a tall section of pocketed coils, resulting in an average firmness rating of 7.5/10. I particularly enjoy how well this bed lifts the hips up and out of the structure. This produces an even feel across the body while stretching out in the prone position, ensuring an ultra-comfortable sleep without too much pressure. 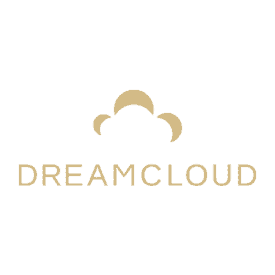 To learn more about the DreamCloud, take a peek at my full review. 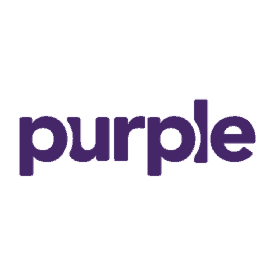 While the Original Purple is best suited for side sleepers, the firm New Purple 2 could be a fantastic option for those who doze primarily on their stomachs. 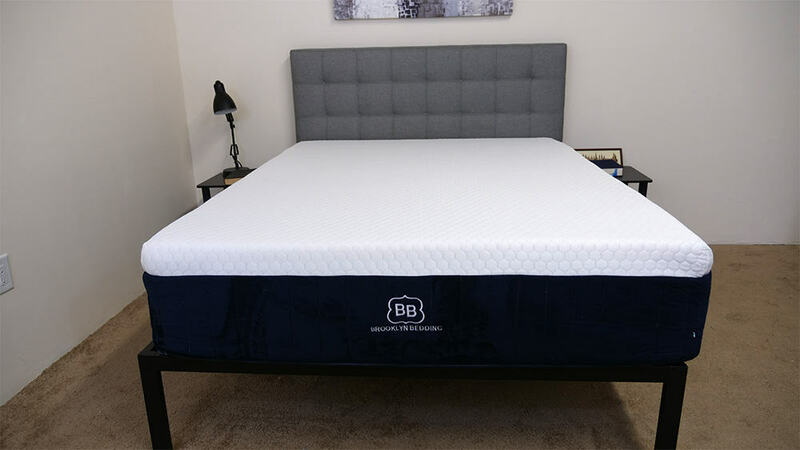 The bed features the same pressure-relieving hyper-elastic polymer comfort layer as the Original, but also includes a thick section of pocketed coils for a little extra firmness. 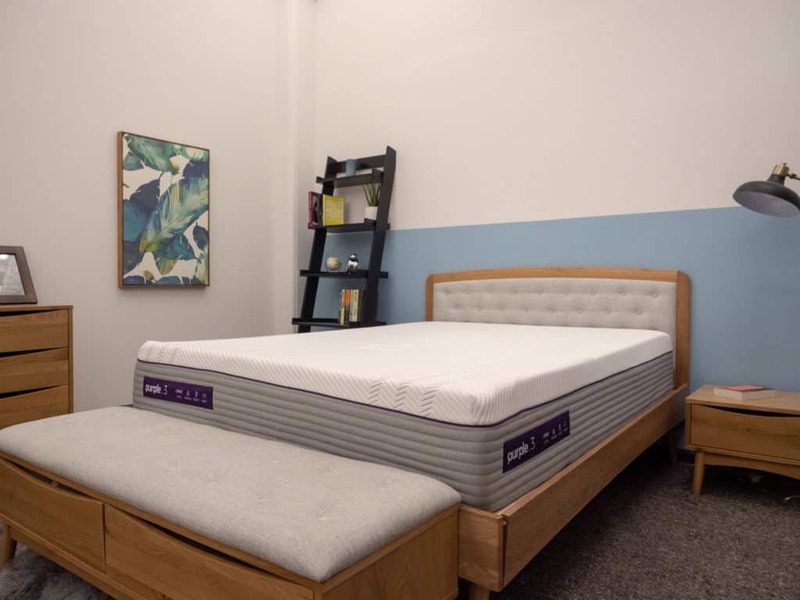 That being said, the Purple 2 offers up a compelling combination of pressure relief and support that should satisfy a stomach sleeper’s needs for comfort at the hips and shoulders. The combination of the hyper-elastic polymer comfort grid and the pocketed coils also makes the bed incredibly bouncy, which could be important for those in need of a little lift. Head on over to my full review of the Purple 2. 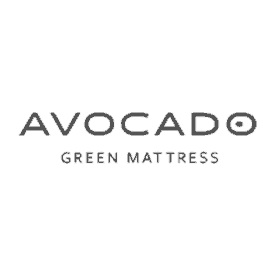 Crafted with all-natural Dunlop latex and pocketed coils, the Avocado is a firm mattress ideal for stomach sleepers. Not only does it have fantastic bounce, but it’s also highly supportive, which means you’re likely to feel positioned more “on top” of the bed than “in” it. 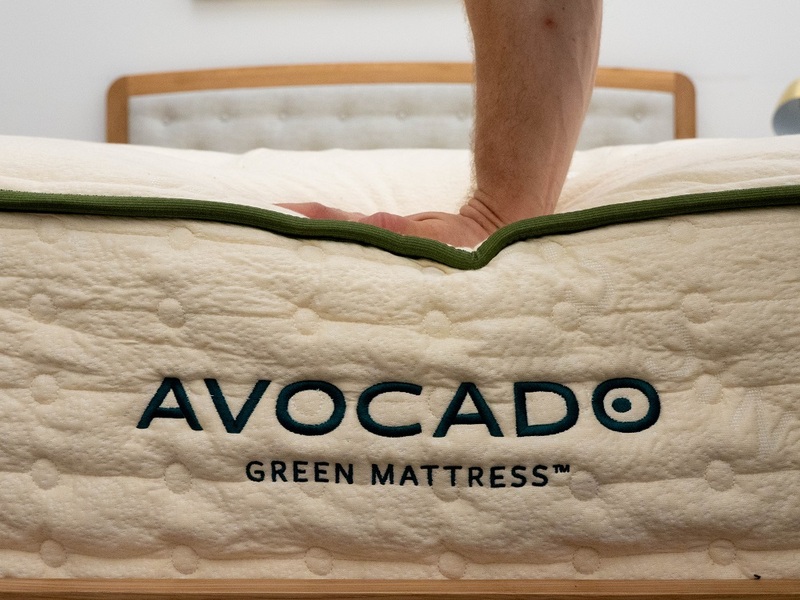 Firmness aside, the mattress is also great because it’s eco-friendly, which could be a big selling point for those environmentally conscious dreamers in the bunch. 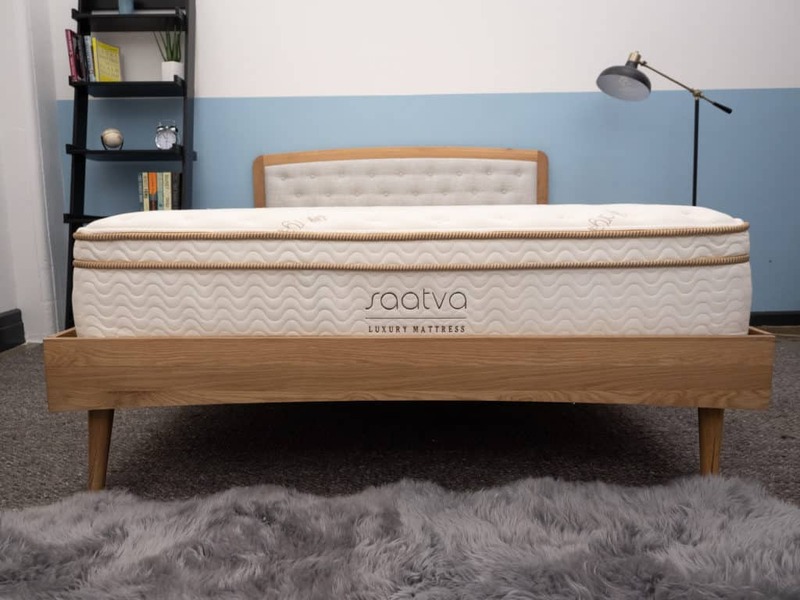 Whether or not you’re into organic materials, there’s no doubt you’ll experience some ultra-satisfying relief while rocking the prone position on this bed. For more on the Avocado, dive into my full review. Designed especially for heavier sleepers, the Big Fig mattress is an excellent option for those in need of a little extra support. Featuring layers of pressure-relieving foam over a thick section of sturdy pocketed coils, this bed strikes a cozy chord without having too much give. It’s notably good for stomach sleepers because it prevents heavy parts of the body from sinking too far into the structure. This means your hips are likely to stay lifted on top of the bed, keeping them in a pleasant alignment with your shoulders. While this super supportive structure is great for heavier sleepers, it could also be fantastic for anyone in need of an extra firm feel. Get more on the Big Fig by reading my full review. 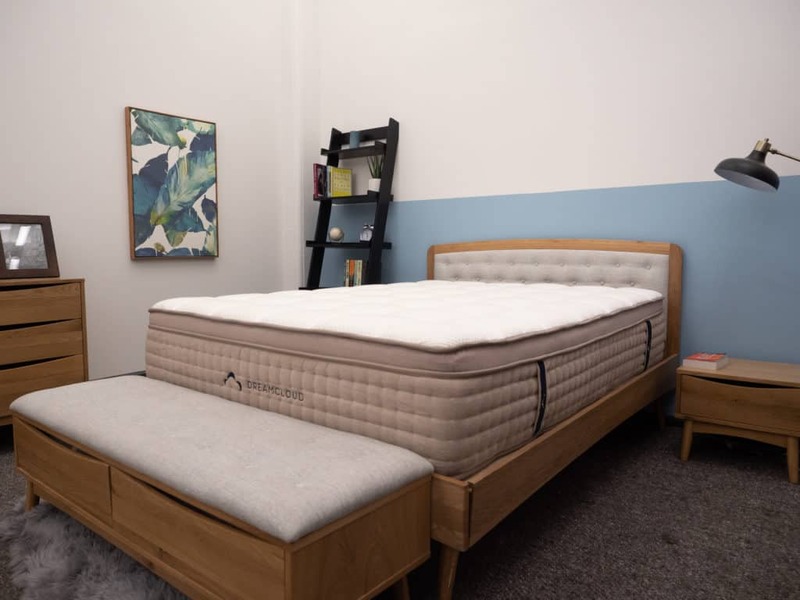 For those stomach sleepers who tend to overheat at night, there’s no better option than the Aurora mattress from Brooklyn Bedding. 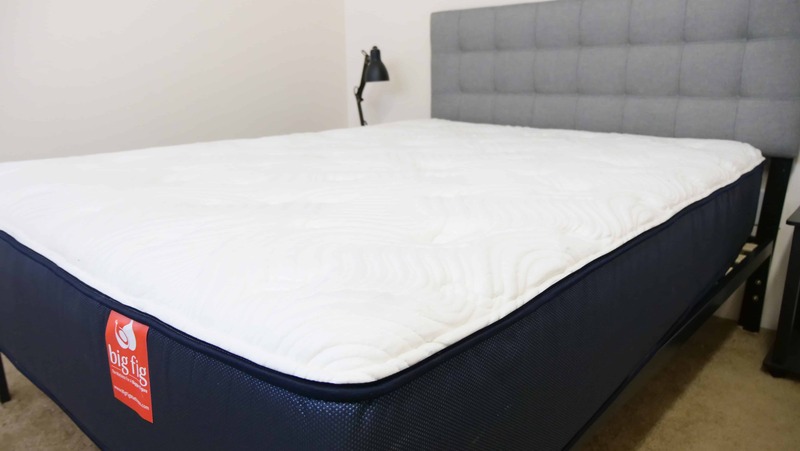 Outfitted with a phase change cover, naturally cooling latex, and gel-infused memory foam, this mattress is excellent at regulating temperatures for optimized comfort. And when it comes to healthy stomach sleeping, the firm option of this bed is well-equipped to support the hips and shoulders and keep them in a sound alignment. I personally found the medium configuration to be on the softer side, so wouldn’t necessarily recommend it for stomach sleepers. To learn more about the Aurora, head on over to my full review. Though memory foam is traditionally a no-go for stomach sleepers (too much sinkage typically leads to less than ideal spine support), that doesn’t mean the material has to be totally avoided. In fact, one of the cases in which I think it works really well for prone snoozers is in the Loom & Leaf mattress. Why does it work here and not in other beds? I’d say it’s because the gentle memory foam is buffeted by firm high-density poly foam, which helps to mitigate the deep body contouring you’d usually get from the material. Here, you get cushiony comfort, but also enough support to keep things copacetic in the lumbar region. To see what else is going on in this bed, check out my full review of the Loom & Leaf. 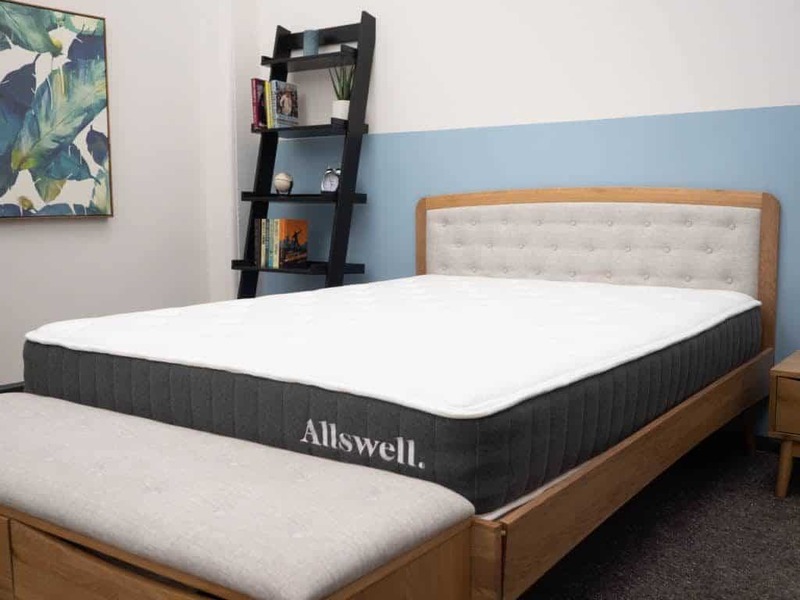 If you’re a stomach sleeper on a budget, you may want to consider the Allswell mattress. While this baby’s got everything the other picks on this list do (namely tons of support and an overall firm feel), it comes in at a much more cost-effective price at just $345 for a Queen. Value aside, the bed also features some great bounce (thanks to a section of pocketed coils) as well as fantastic edge support, which could make it a real winner for couples. 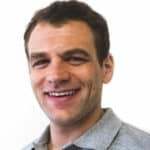 As many folks would readily point out (including our resident physical therapist and Sleepopolis Expert Network member Dr. Keith Poorbaugh), stomach sleeping is a rather tricky business. Not only does it have the potential to contort the body into a problematic alignment, but it can also put unnecessary pressure on the hips, shoulders, and neck. So… what are stomach sleepers to do? Thankfully, you can still healthily doze in the prone position, as long as you pay attention to firmness, support, and the pillows you use whilst slumbering away on your belly. In terms of firmness, stomach sleepers should opt for something on the medium to slightly firmer side, around a 6-7.5 on the firmness scale (with 10 being the most firm). This level will help keep the back from arching out of alignment and will also keep the hips lifted in line with the shoulders. Anything softer than this could cause discomfort at the pelvis and misalignment at the lower back. However, as Dr. Poorbaugh points out, if you already suffer from back pain, it doesn’t really matter how firm your mattress is — you should avoid sleeping on your stomach at all costs. Snag a bed in the 6-7.5 firmness range. Keep an eye out for beds with pocketed coils or a double-coil construction as these will help to lift the body on top of the structure. Avoid memory foam or other soft foams that could cause uncomfortable sinkage. After firmness, support may be the most important concern for stomach sleepers. Sound support will help to bolster the lumbar region, lift the hips, and reduce tension at the neck and shoulders. Poor support will throw all of this out of whack, leading to a bevy of aches and pain come morning. Firmness does not always equal support, so don’t just choose a mattress because it’s listed as “firm.” Instead, pay attention to the materials and see what kind of construction’s at work. In my opinions, hybrid beds (which utilize both foam and pocketed coils) typically offer the most well-rounded support. When you try out a bed, pay attention to your hips and shoulders and make sure they’re not sinking out of alignment. Give it a few minutes before deciding so your body has time to settle. Focus less on the comfort layers and more on the support sections. Pillowtops can be tantalizing, but stomach sleepers need to scope out what’s going on beneath the surface. More than almost any other type of sleeper, those who doze primarily on their stomachs have perhaps the most to gain from effective pillow use. As Dr. Poorbaugh points out, it’s not just about focusing on the pillow that goes under your head (though that’s important, too), but about getting creative with the ones you use along the rest of your body. Research from the Mayo Clinic supports this idea, indicating that the only sure-fire way to ensure proper support for stomach sleepers is to nestle a flat pillow directly under the pelvis. (3) The goal here is to manufacture a lift where there isn’t one, thereby creating a neutral position for sound sleeping. The goal is to find a pillow with a lower loft (shorter height) and an overall softer firmness level. Stay on the lookout for soft, short, and compressible pillows that won’t exert too much control over your posture. Learn more by checking out her round-up of the absolute best pillows for stomach sleepers! Gold, J.e., et al. “Characterization of Posture and Comfort in Laptop Users in Non-Desk Settings.” Applied Ergonomics, vol. 43, no. 2, Mar. 2012, pp. 392–399. Vostatek, Pavel, et al. “Diaphragm Postural Function Analysis Using Magnetic Resonance Imaging.” PLoS ONE, vol. 8, no. 3, 14 Mar. 2013. “Sleeping Positions That Reduce Back Pain.” Mayo Clinic, Mayo Foundation for Medical Education and Research, 21 May 2014. Thanks for all of the great info on mattresses. Wondering why the Dreamcloud didn’t make this list of best mattresses for stomach sleepers. Based on your review, it appeared to be highly recommended for stomach sleepers. I am greatly appreciate the work you and your colleagues put into reviewing mattresses. I recently purchased a king sized bed to sleep me, my partner and 2 dogs. I have a extra firm tempurpedic mattress, but I am very interested in trying a foam-based mattress. I am consistently a stomach sleeper and I definitely like a firm mattress. I am considering the Casper Wave. I have seen multiple reviews but I have not seen a review of Puffy. Do you have any information regarding this company and product? Also do you think the Casper Wave would be a good option?